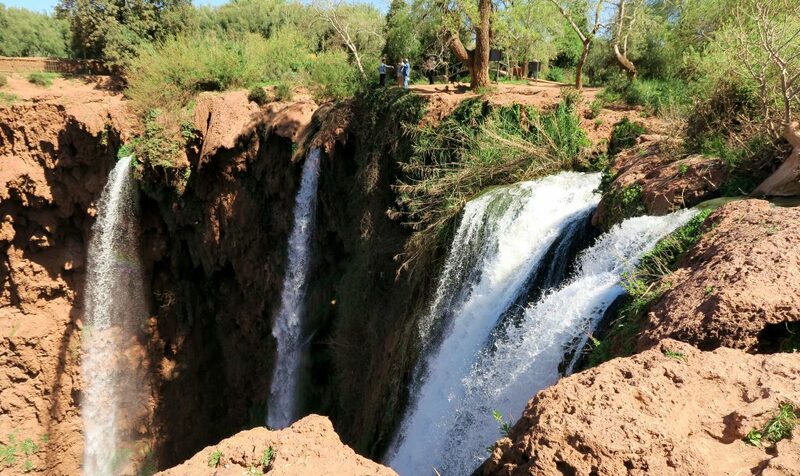 If you are heading to Marrakech and you are looking for a great day trip, Ouzoud Falls would be my first recommendation. Marrakech is an incredible city, but many find it overwhelming. 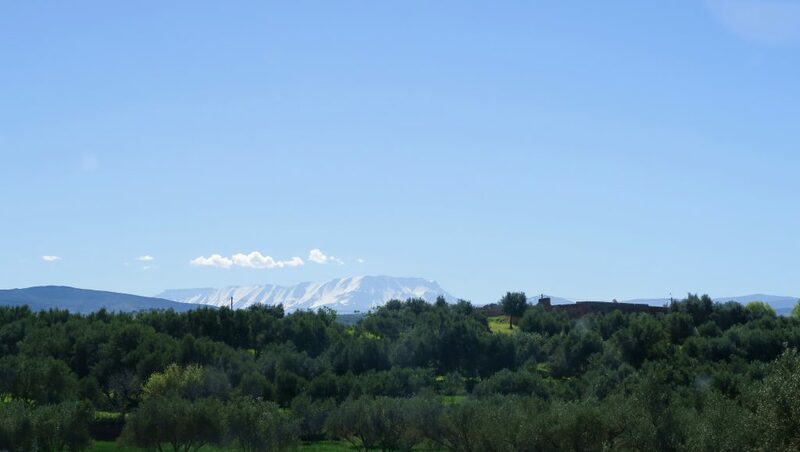 Ouzoud provides the perfect peaceful retreat from the hustle and bustle of the city. 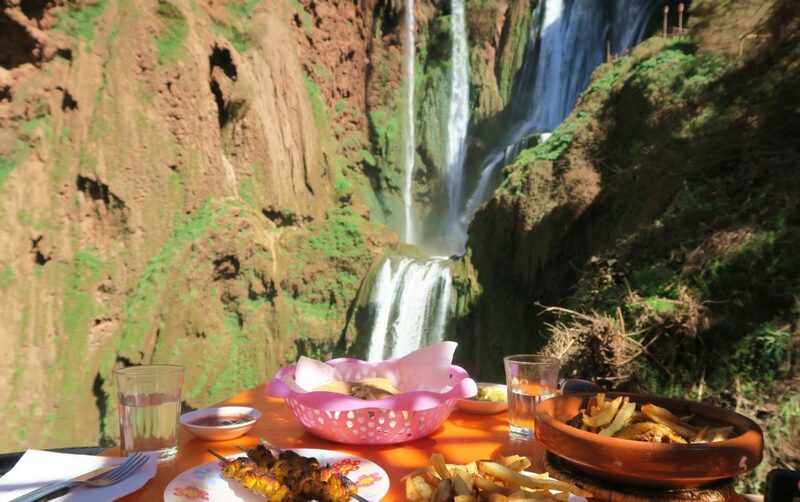 Plenty of stalls in the Medina, hostels and hotels offer the opportunity to book excursions from Marrakech. However, we decided to book in advance through IGoMorrocco which I would highly recommend! The total cost of the tour through IGoMorocco is 25 euros per person (which is cheaper than I saw advertised on stalls in the Medina) and they take a small deposit at the time of booking. 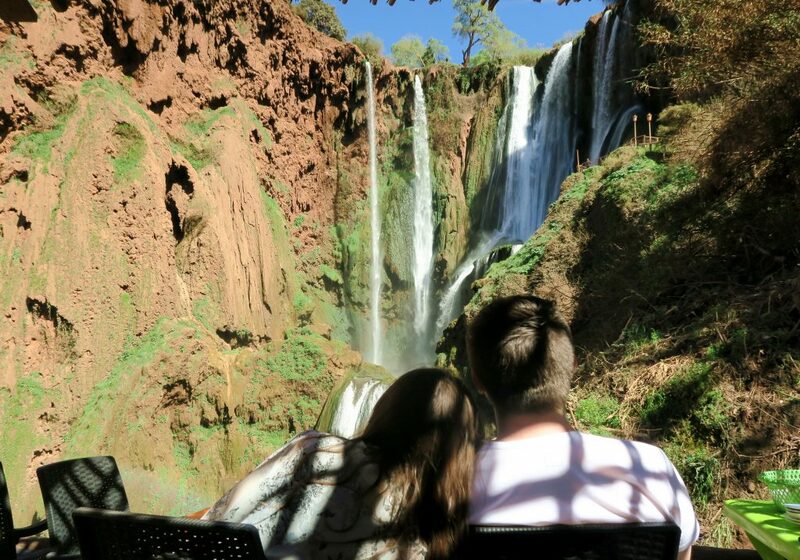 25 euros for an entire day trip to Ouzoud Falls is an absolute steal and completely worth the money. 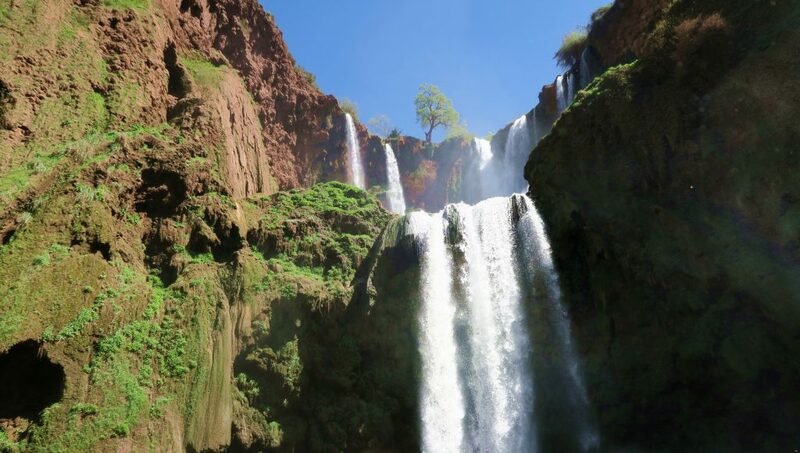 RELATED: Are you looking for other trips to do from Marrakech city? Check out everything you need to know about a trip to the Sahara Desert here! We were picked up at 8am and quickly within the gorgeous Moroccan countryside. This was our first taster of life outside the city and boy was it gorgeous (little did we know that we were in for even more of a scenery treat the next day on the way to the Sahara Desert). I loved passing through tiny rural villages and seeing how the Moroccan people lived their life in the countryside. Tiny villages would appear every so often, miles away from the last with no apparent infrastructure. We passed people (sometimes children) walking along the side of the road in the middle of nowhere. For much of the journey, I wanted to pull over and ask these people where they were going, what they were doing with their life, where they live. I found myself wanting to know everything about people who were simply getting on with their daily routines. Lets be honest, if you saw someone walking along the side of the M25, you’d question their sanity, but these people appeared to be so content. 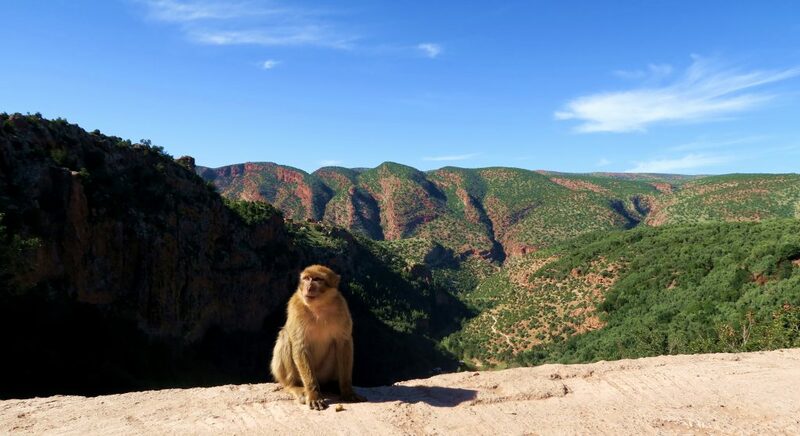 RELATED: On our way to the Sahara Desert the next day, we were treated to even more stunning scenery, read all about our road trip through the Atlas Mountains here! After 2.5 hours driving, we arrived at a Berber Village and were handed over to a local Berber guide who would be showing us around for the day. We paid around 2 euros per person for the guide’s services and while this isn’t included in the cost of the entire day trip, I never begrudge providing local businesses and people with extra cash when they provide such an excellent service. Our guide was funny and informative and kept us entertained for the duration of the day. We were first taken to see the edge of the falls to see the thundering water beating down below us – while impressive, we knew this wouldn’t be the best view of the falls and were excited for the rest of the day. 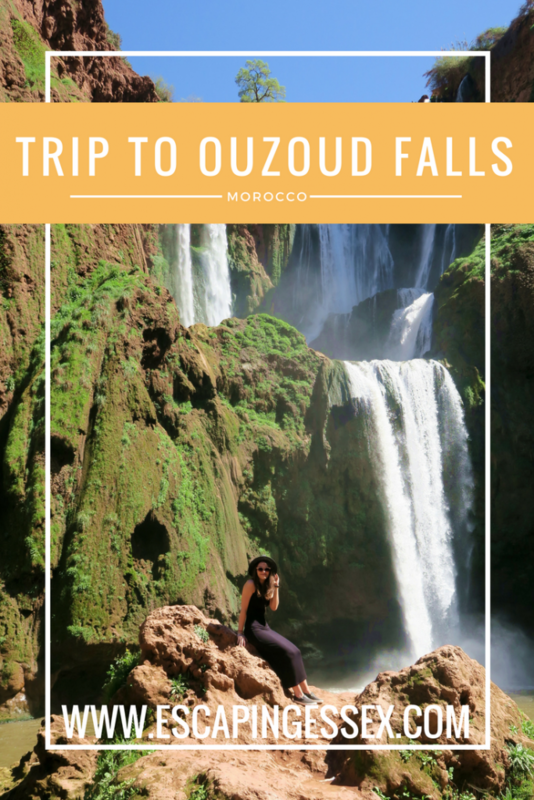 After a steep downward hike with impressive views of Ouzoud Falls (side note: be sure to wear proper shoes for this tour – while one girl did complete the hike in flip flops, it didn’t look particularly comfortable! ), we stopped at a little stall for fresh orange juice and (of course) incredible views of the falls. After a quick break from the relentless heat, we were back on our feet again and tackling a potentially steeper cliff side decent before reaching the base of the falls! 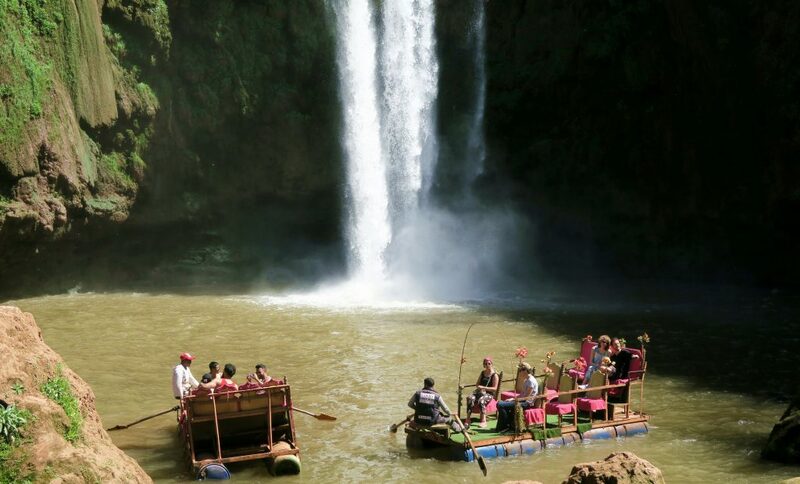 We were quickly split into smaller groups to enjoy a boat ride around the falls themselves – be warned, you will get a bit wet – but even in March, the spray from the falls was a welcome treat from the heat. The journey cost around an extra £2 and is completely optional but I would definitely recommend it – it may have even been the highlight of the day (other than the outstanding beauty of the area in general). We were one of the first boats to enjoy the trip, so we got plenty of time after wards to take pictures while waiting for the rest of our group. After lots of walking, we had definitely worked up an appetite for lunch! The restaurant was on the cliff side with an incredible view. There were a few options to choose from on the set menu including tagines and chicken skewers. After the main course, we were provided with piles of fruit for each table – so much that we ended taking some away with us for the bus journey back to Marrakech! 5 months after my trip and I’m still upset that oranges in the UK don’t taste half as good as oranges in Morrocco! After lunch, we took a much less strenuous walk on the other side of the falls back up to the top where we would meet our minibus. This walk takes you through a tree-covered area and cliff side filled with wild monkeys! The monkeys are very friendly and not phased by human presence – be careful, if you have any food on you, they will try and steal it! The whole group was left laughing when one jumped onto Callum’s back causing him to scream (he would probably call it a “startled manly grunt”, but we all know it was a scream). And with that, our amazing day trip was over and we were back in the bus and heading back to the bright lights of the city. 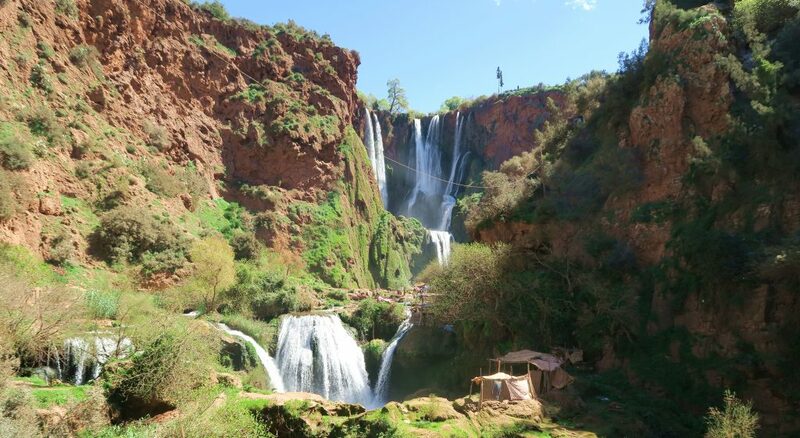 Wow who knew Moroco had such magnificent waterfalls! Planning a trip there and this is totally on the list now. Are the falls flowing like that right throughout the year or do they dry up in summer? It really is a great destination – I hope you get to visit soon! Looks lovely! I would never have guessed this was in Morocco. Adding it to my list for when I get there. Morocco really surprised me landscape-wise, they really have a mix of everything! Hope you get to visit soon! 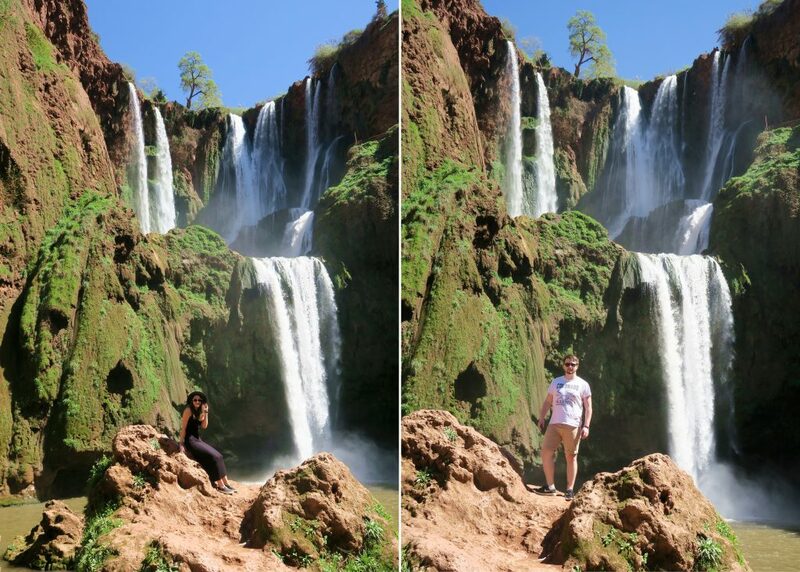 Even though I’ve been to Morocco, I had no idea it had waterfalls like this! I guess I’ll have to go back and put Ouzoud on my list! The best reason to make a return trip ;-). I love chasing waterfalls!!! 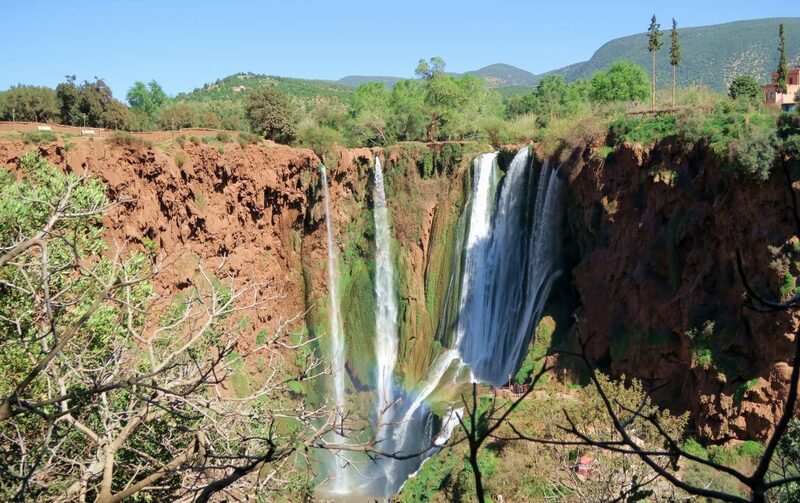 Such a great post on what to do outside of marrakech! Thank you! I love chasing waterfalls too – such a beautiful natural phenomenon! I've been to Morocco three times, and have yet to make it to this stunning site! It's been on the list, so your post is giving me a major case of "I want to go there right now!" I love that you can take the boats behind the falls! A lovely guide. I hope I can bring this to life someday.